Yes, he’s been back and I thought you might like a few more ‘after’ photos. 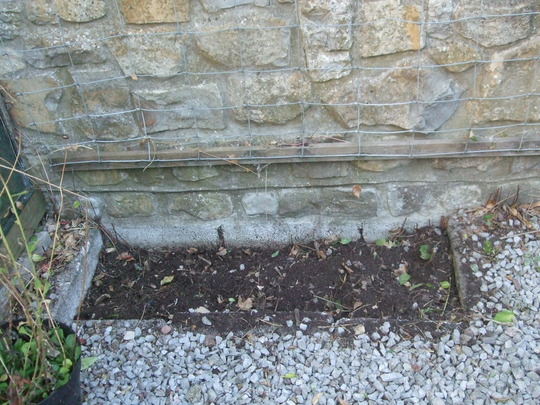 I used to grow tomatoes or sweet peas in this little bed, but it got over run with Vinca – all it needs now is a load of compost and it’s ready for new planting! 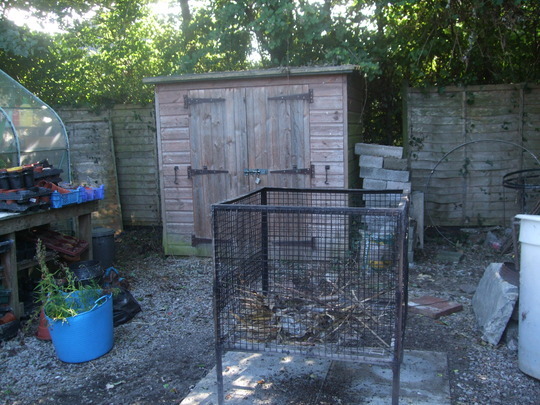 OH and I have carried on the good work; there are slabs under the incinerator and cold frame. I actually tidied and swept out the greenhouses! 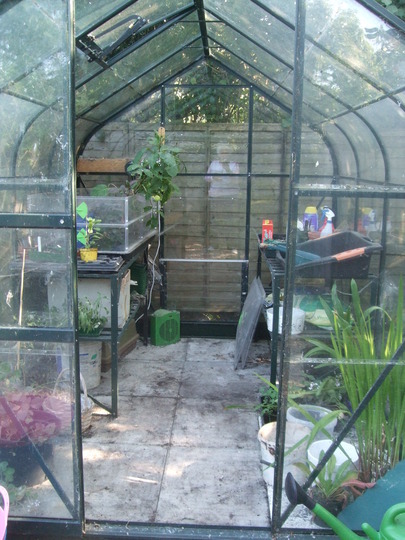 I also moved various plants out into the cold frame, which is much better for them. We are still bagging up old pots and trays. Our nearest Garden Centre used to recycle them but no longer, so sadly, they have to go to landfill. All in all, it’s now a pleasant place to work and I don’t open the gate and look with horror at that mess any longer. Previous post: What a hard worker! Sometimes a helping hand makes such a big difference in a short amount of time. You will enjoy this part of the garden far more now. Where is he going next?! We could all do with one.....I agree. He could start up a country-wide business, couldn't he! He would be much in demand.